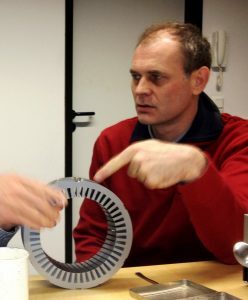 superwind GmbH was established in 2004 after four years of successful research, design and testing of its now internationally patented micro-turbine technology. Since then, thousands of commercially rated superwind 350 and superwind 1250 turbines have been quietly providing reliable, autonomous wind generated electricity to users for remote sites, known for harsh conditions on both land and at sea – world-wide. 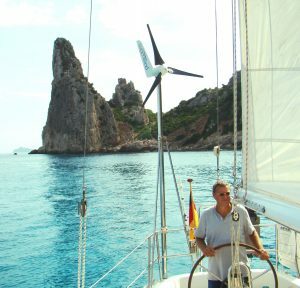 superwind GmbH is a self-sustainable privately owned company, managed by its founders, Klaus Krieger and Martin van Egeren. The company is not aiming to sell stock nor looking for investors. The company is just aiming to develop, design and manufacture their products at the highest quality in order to best meet the clients´needs. The company is closely cooperating with system integrators and highly qualified distribution partners worlwide. Klaus Krieger has been engaged in wind turbine development and international implementation of wind energy projects for over 30 years. His understanding of Electrical Engineering, Wind Power Integration and even Project Financing contributed to a unique perspective on both wind turbine system design as well as end user operability. 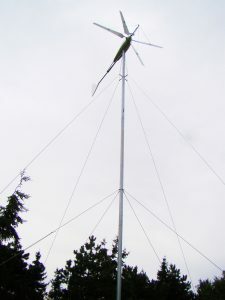 In the 1990s, while focusing on wind turbines in the 1.5Kw to 10Kw range, numerous project opportunities presented themselves and Klaus Krieger was soon joined by Martin van Egeren, a mechanical engineer who was also working on wind turbine design and development of rural electrification systems using renewable energy. Together Krieger and van Egeren found themselves working within a larger group focusing on the planning, design and implementation of wind turbines in Europe. The group’s successes in the E.U. led to a series of projects featuring wind energy systems for village electrification, telecommunication and rural electrification (farma and villages) in places as far away as China and Indonesia. Recognizing immense competition arriving in the mid power range wind turbine market, they left the larger group to investigate opportunities in a then neglected space – the 300 Watt to 1 Kw wind power market; “micro-wind”. 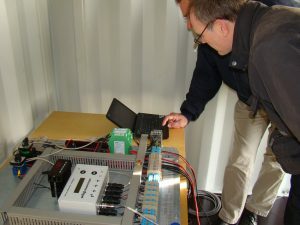 Together in the year 2000, they started the development of a professional small wind generator system based on the needs observed for commercial off-grid turbines in the real world. After four years of dedicated research and development, leading to numerous system innovations and international patents, together they founded superwind GmbH in 2004. Today, the work to build high quality turbines and innovation for the future continues. Martin van Egeren is technical managing director and responsible for technical development, production planning and quality assurance. Klaus Krieger is commercial managing director and responsible for product development, marketing, administration, finance and controlling. As an experienced blue water sailor, he also knows something about wind generators aboard a ship.